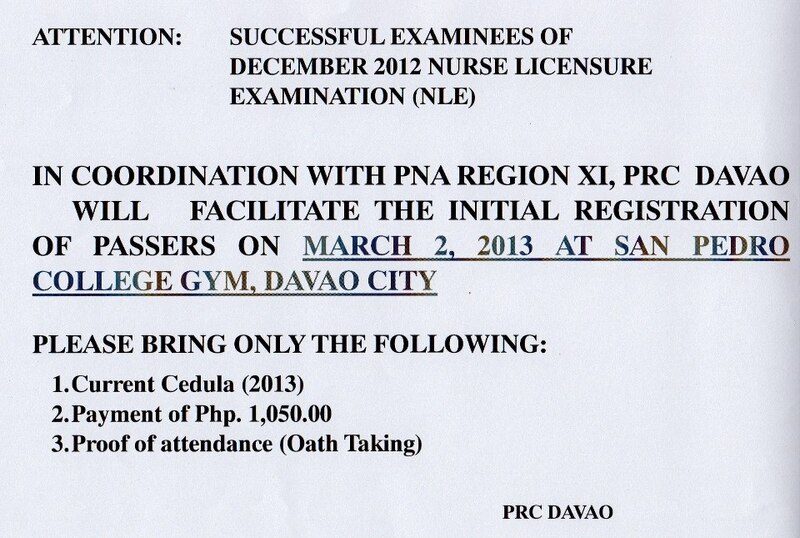 PRC Davao announces via official Facebook account, initial registration for all the successful examinees of December 2012 Nurse Licensure Examination (NLE). 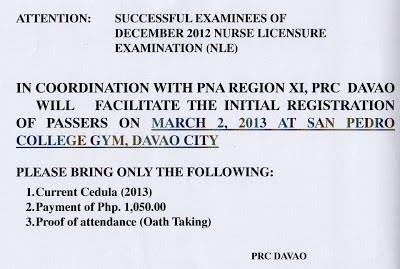 In coordination with Philippine Nurse Association (PNA) Region XI, PRC Davao will facilitate registration of passers on March 2, 2013 at San Pedro College Gym, Davao City. To receive update on exam-related contents and PRC announcement, just Like our Facebook page or Follow Us on Twitter.